The tech that does our service. Tracy is fantastic. Really takes his time to make sure it's done right. Great service. Arrived on time and work was completed quickly. Appropriate sign was left to stay off until dry. So far so good - no bugs in my shrubs and grass. 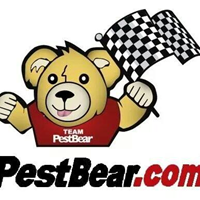 The PestBear team is great, Tracey (lawn service) and Emmanuel (Mosquito control) are probably the nicest service guys I have met. Always informative and friendly. The service is just as good, grass is green and healthy and mosquitoes are in check. so far so good time will tell if all is working. Everything is great. Thank you!! Earlier this week a new gentlemen representative from PestBear serviced our home. After having employed hundreds of people over the years, I can say he's far above average. Courteous, respectful, professional, articulate, confident were characteristics he displayed during our meeting. You've got a winner. Great job! Excellent Servce. Congratulations to your Service. Very Professional. K Michel. Pest Bear Lawn Service have had several people care for my lawn. The current service person has been the best! He has taken the time to discuss his lawn plan at each visit and what I should do for the best lawn care. I'm seeing gradual improvement in the lawn and garden beds. So far so good. I appreciate my serviceman Chris. He has always been helpful, friendly and dependable. Timely, Courteous and caring. Great people looking out for me and my family. Emmanuel went above and beyond. Our house is new and they hooked up the fridge hose wrong... it started spraying water everywhere... hose was still attached... he turned off the water grabbed a wrench and fixed it in 5 minutes. I’m. We appreciate our technician and the communication that we receive regarding our lawn. Tech was courteous and thorough. Made sure he let us know to water after application. The first spray has been working, however, we need to set up our 10 day visit as the critters are still here. Daniel did a good job and was helpful in explaining his process. You guys are very personable and accommodating. Emmanuel is doing a great job! very nice to work with..especially with all our problems living across from the Park and it's problems! The pest control tech Daniel was amazing. He was professional, friendly, knowledgeable and efficient with his pest control work. Went above and beyond with his customer service. Noticed immediate results with pest problem. I will recommend his services to others. Good start - new but they have been great so far. Ryan came out and was awesome, took the time to check out the lawn, telling me what I needed without upselling me. Up Front - type of straight forward talk without the sales pitch - and how to take care of it long term - winter and summer, its not a spay and forget company like others, they care. Trust me, writing this with zero kickback, 1 time user but will continue since hard to find a company these days like this! Great Job thank you. Fast and friendly service - Jayson is great! Always in time and friendly. Very professional. All staff very nice to deal with. Thank you! Overall they do a good job. Only need to slow down and make sure they spray all areas of the lawn. Very pleased with service from Daniel. Excellent service and excellent technician. Good service, yard is healthy. Yay! I just have couple of issues. When it is pest day they do not see the ants mountains in my drive way , those are easy to spot. Your service technicians are always prompt and courteous. Their uniforms clean and pressed. First impressions are important to me. Their service performance has never disappointed us. If needed,and called upon in between service scheduling your office personnel is always gracious and a pleasure to work with. I have and will continue to recommend your company in the future. Our technician Jason was extremely thorough and took the time to explain our options (this was our first treatment with PestBear). He was professional and did a great job. We were very pleased. So far so good. Just winter not a good time for grass. Also I received a bill in the mail and thought it was a direct payment to you without a mailed bill. Confused!